New! - Echo Chamber interactive music. Lek is playing the "Kong Wong Yai" just one of the fascinating Thai instruments.Vist our Catalogue and fall in love with these beautifully crafted Classical instruments.All of the pictures are examples of the actual instruments produced here for sale. The history of this fine musical tradition is intertwined with many regional influences. The beautiful Thai instruments on this site are all hand crafted by genuine thai craftsmen and women in central thailand. The musical tradition of thailand has been kept alive through centuries . For details on many instruments check out the information and history pages.The jarake on the left is an example of a popular instrument that has to be plucked in a unique way with the thumb and forefinger. 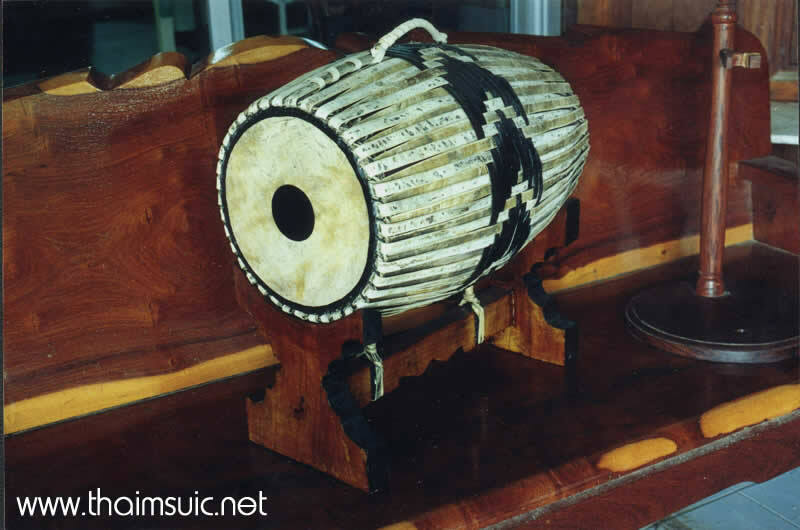 Jarake means "crocodile" which is supposed to mimic the shape of the instrument. Historically The Thai people surely knew how to make musical instruments themselves or to copy the patterns of others and adapt them to their own uses. Since the ancient times when they were still located in their original country in southern China, it appears ,according to the chronicles of the time, that the Thai were a people who always loved music and singing, and that the Thai people had musical ability as early as the Chaw-ng wu Kingdom. 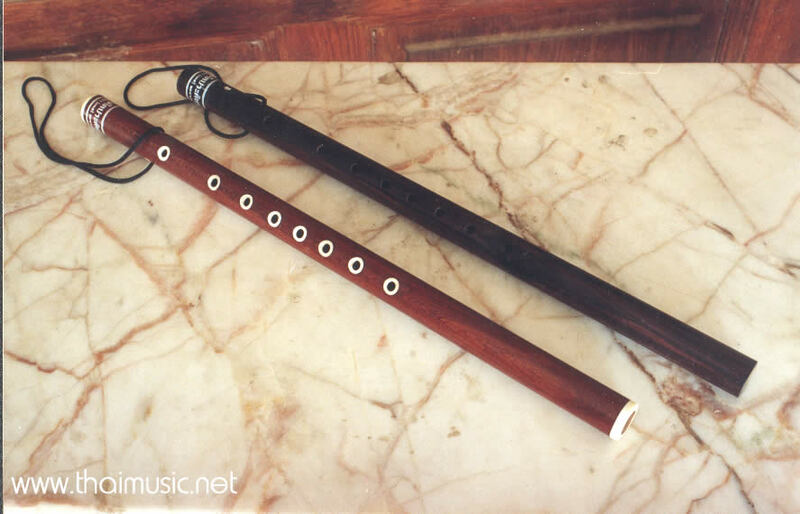 The researches of the historians confirm that several characteristics of present-day Chinese music have evolved from the music of this ancient kingdom. But how? During tthe time when the Thai people and the China's people were still closely associated, they surely exchanged things with one another. 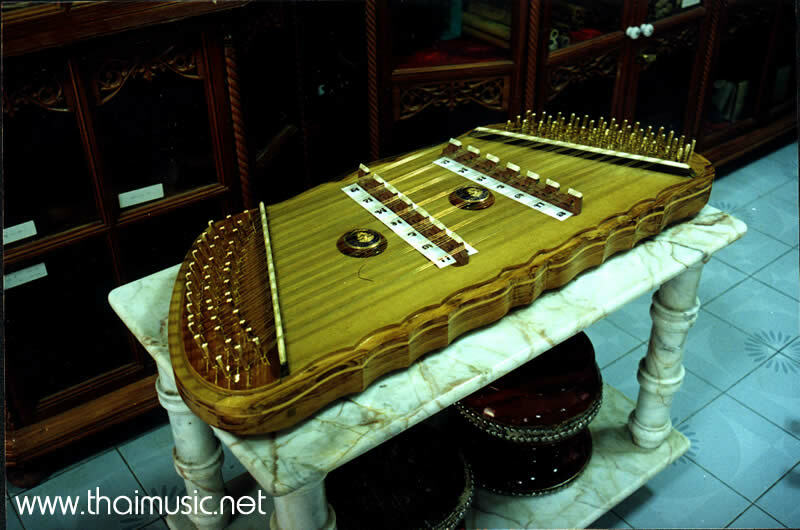 The Thai undoubtedly adopted some of the Chinese musical instruments to use as their own and adapted the models of others. Further , there are several kinds of musical instruments, which it is understood, the Thai devised before they came in contact with the culture of India which was widespread in the southern part of the Indo China peninsula before the Thai people migrated there. It can be seen that the first Thai musical instruments were given names according to the sound they made. Later on , the Thai discovered more advanced methods of making musical instruments . For example, they took several "grap" and put them on a stand with the tones in order from low to high. This was the origin of the xylophone type of instrument. They also made circular instrument stand which held a series of small metal gongs. These more comples instruments were given names of altered and combined words, and such instruments became know as "rana-t" , "khaw-ng wong" and so forth.